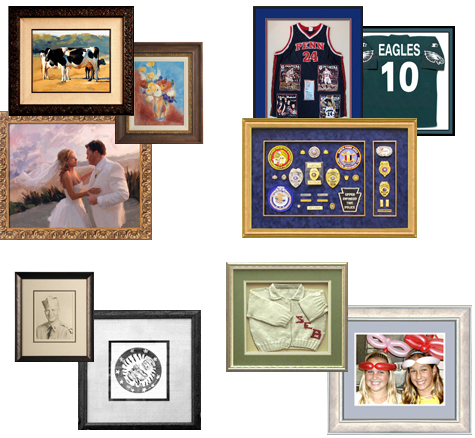 We invite you to browse our website to view the many ways we can help you “frame the treasures of your life,” but be sure to visit our showroom and meet with one of our custom framing specialists – our team of employees have over 75 years of experience in the framing industry. Take advantage of our Everyday Specials, and join our Smart Framers Club to receive special discounts throughout the year, and by joining today you’ll receive a $30 off coupon for custom framing. And new to our website is an Interactive Frame Design tool, which allows you to see how a completed frame designs will look before the framing begins. Click here to get started with this Interactive Frame Design tool.